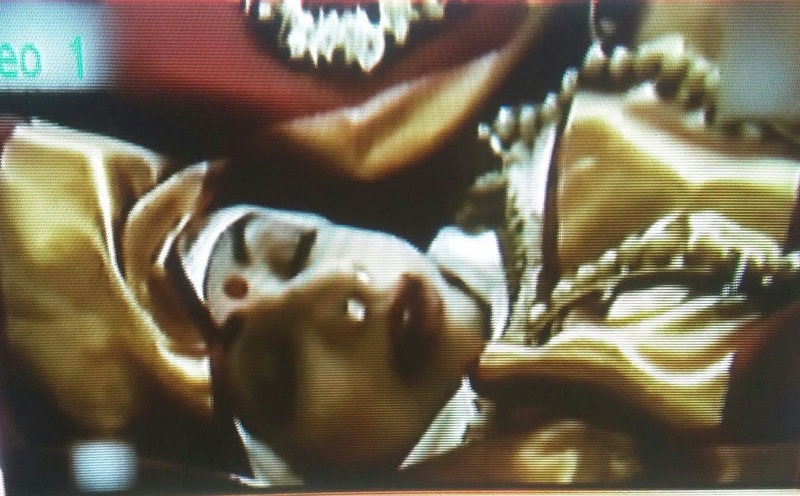 The enigmatic legend, Sridevi, who dazzled the silver screen with 300 films over 50 years which included a sabbatical of 15 years, bid adieu to the world suddenly, plunging her family, friends and fans in grief. 54 is not an age to die - for a health-conscious fitness freak. 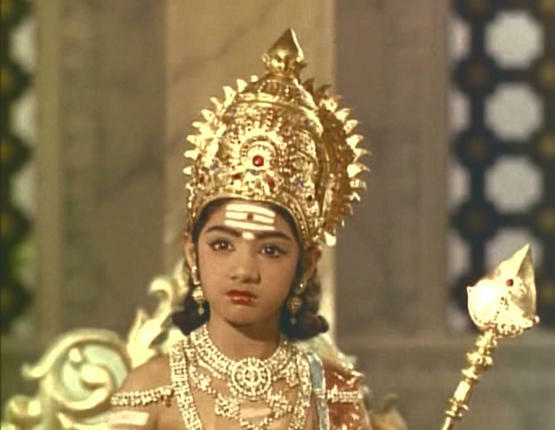 Sridevi first appeared in Tamil movies (starting with 'Thunaivan') at the tender age of 4, and went on to share screen space with veterans Shivaji, MGR and Jayalalita. As Lord Murugan in a couple of South Indian movies, she looked more cherubic than Murugan himself! and reigned as the Superstar of South Indian films in the 70's and 80's. Destiny led her to Bollywood - with 'Solwa saawan' but it did not fare well at the box-office. Five years later, she made a comeback with 'Himmatwala' with Jeetendra in 1983, and earned the nickname 'Ms. Thunder Thighs'. Her 'Sadma' proved her mettle as an actor. Half a dozen releases followed in each of the next two years. And in 1986, 10 of her Hindi movies were released. After the initial hiccups, she got over the epithet of 'Ms. Thunder Thighs' and evolved as 'Bollywood's first lady superstar'. With author-backed roles, she rubbed shoulders with the top stars in the 80's and 90's, with her chutzpah, grace and enigma. It is such a delight to watch the myriad expressions of innocence, impishness, coyness, oomph, sensuousness, romance, anger, sadness .... effortlessly flit across her face through her expressive eyes and lovely lips. The cherry on the icing was her perfect comic timing - she was a total package, who seemed to have an affair with the ... camera. She retired while at the pinnacle of her career to raise her family, still retaining her poise and glamour and making a successful comeback with 'English Vinglish' after a 15 year hiatus. When she was not acting, Sridevi continued to be in the limelight, gracing the ramp, reality shows, and awards functions, carrying herself with elan in any attire, be it the sari / anarkali / western outfit. The glamorous fashionista and dazzling diva was a muse to fashion designers and a fashion icon to the young crowd. She has had 3 - 4 generations rooting for her - I can vouch for that. Her costumes were trend-setters in the South in the late 70's and 80's and 'Sridevi dresses' were a rage. 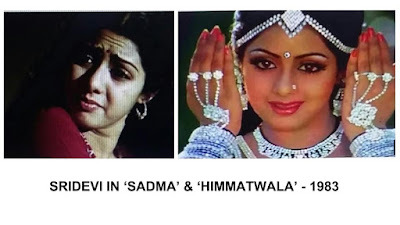 My sister and I were die-hard fans of Sridevi (she could have been our younger sister) and swooned over her in most of her hit Tamil movies - whether it was the oh-so-young Selvi of 'Moondru mudichu', half sari-clad, spirited village belle Mayil in '16 vayadinile', cute, young, 'madisaar mami' Kokila in 'Meendum Kokila', svelte air-hostess Devi in 'Vaazhve maayam', child-woman Viji with amnesia in 'Moondraam pirai' adorable singer Archana in 'Johnny', the list is endless .... . If we had our way, we would have played Cupid to Kamal-Sridevi. Would you believe it if I say my father too was an admirer along with my mom? Well, he bought mom a bright red saree with huge flowers just because the shop had a poster of Sridevi posing in it! After marriage, we siblings were settled in Maharashtra, so we had become Bollywood fans. Weren't we excited to see our favorite star climbing up the ladder of success in Bollywood? We continued to go gaga over Sridevi's looks and acting which was getting better and better with age. My children too loved watching her especially in Mr. India / Chaalbaaz. If my grand daughters were growing up in India, I'm sure they too would have ended up being admirers of the evergreen star. Such was the magnetic charisma of Sridevi! It is really noteworthy that she has acted with almost all the top Bollywood actors from Dilip Kumar to Rajesh Khanna, Amitabh Bachchan, Rishi Kapoor, and Vinod Khanna, Anil Kapoor and Jackie Shroff, to Akshay Kumar, Shah Rukh Khan, Salman Khan.... The glaring exceptions are the remaining Khans, Aamir and Saif. Of course Sridevi was a guest at one of the episodes of Aamir's TV show, 'Satyameva Jayate'. 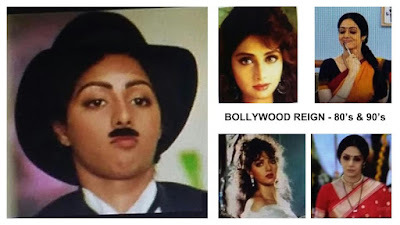 Sridevi had everything one would desire - but she was lonely. She had missed the joys of childhood. After losing her dear father, she also tragically lost her mother, her pillar of strength. Her relations with her younger sister soured over property dispute. Boney Kapoor offered his comforting shoulders and she was a willing taker. She married the much-married Boney and retired from films to raise her family. She was extremely conscious of her looks and the rumour mills were abuzz with her efforts. But Sridevi like a loving mom, nurtured her two daughters Jhanvi and Khushi with love and care and had big dreams for them. How sad that she won't be around when Jhanvi's debut movie releases later this year! And what a way to go - leaving the fans and media frenzied and speculating! Most of us were in tears, shaking our head in disbelief and muttering, "Not fair; she didn't deserve it." A freak accident with so many loose ends? Or something more? It's best to let her rest in peace, though our hearts and minds are still not reconciled to the fact that the diva is no more!